Ethereum brings with it a variety of token standards, and it is fair to say these have contributed to opening new possibilities in blockchains integration with other technologies. It has allowed, if nothing else, other blockchain platforms to use Ethereum as a basis for their own, in the form of ERC20 tokens which are later redeemed for the platform’s mainnet tokens if and when they do complete their own chains. Although this is the best known of Ethereum’s token standards at present, there are a number of others which are capable of adding considerable abilities to distributed ledger technology. Many of these are already being developed for use in gaming, where tokens on the blockchain can give players ownership of assets to be used in-game or even to use cross-platform in different games. Below are just some of the different token types made possible on the Ethereum ecosystem, with some use cases for each, in gaming or real-world applications. As mentioned, the ERC20 protocol has allowed hundreds of startups to launch their products before creating a blockchain of their own. Of the 2110 currencies listed on Coinmarketcap as trading, ERC20 tokens make up 895. By the middle of 2018, these had amassed as much as 60% of the total market cap, before that number dwindled and Bitcoin’s market dominance rose again. The process of using a ERC20 in the formative stages of an ICO has drawn some criticism, as the ease of this has led to many vaporware projects with no long-term development strategies. For companies that do launch a mainnet of their own, this also brings about the need to perform token swaps, usually with the help of big-name exchanges. Both of these were prices the industry paid for the ability to launch somewhat customized blockchains without considerable research and development of their own, and certainly to launch token sales much sooner than would otherwise have been possible. These tokens are functionally similar to ERC20 tokens, but might be seen as an upgrade of sorts — they allow for measures against accidental loss when people send funds to a smart contract and their transfer costs about half the gas price of ERC20 tokens. Their adoption is hamstrung by a lack of wallets supporting them at present, but these may eventually replace ERC20 as the standard for new projects if that obstacle is addressed. The core innovation of ERC721 tokens is that they are non-fungible, or unique. Most will know this as the Cryptokitty token, as the game was notorious during the month-or-so long boom of December 2017 for putting strain on Ethereum’s network and raising the gas prices required to send transactions to absurd levels. This token allows developers to include a variety of characteristics to tokens, such as skill points in a game character or level of rarity in a playing card. Though Cryptokitties did a good job of introducing the world to ERC721s proper, the technology has more to give — the ability, for instance, to use the same character in multiple games would be one example. If EA adopted this technology for their Ultimate Team series, this would allow gamers to use their best players in future iterations. From a profitability standpoint they likely would never do that, but ERC721 at least makes this a possibility. A newer standard, ERC998 is a composable non-fungible token. This is a unique token which can be made up of multiple pieces — ERC20s and ERC721s together, for example. This provides for a radical idea — tokens which can own tokens. A Cryptokitty with a bank account, a knight with customized armor, or as in the game CryptoRome (which has already incorporated ERC998), a city which owns towns, which in turn own villages, and so on, all of which are represented by tokens under a hierarchy. The idea of tokens owning other tokens is one which deserves its own article, and certainly the potential of 998s is exciting both for games and real-world applications (tokens earning their own income, as an example). Expanding blockchain-based gaming was also the driving force behind ERC1155 tokens. Functionally, it falls somewhere between ERC20 and ERC721 tokens — allowing for fungible, semi-fungible and non-fungible varieties. The benefit of this is straightforward — separate smart contracts are not required dealing with each token type. As an aside, semi fungible tokens also may allow for applications like ticketing for sport or music events. In this instance, all tokens are “seats”, but with different seat numbers. Similarly, rare digital assets with serial numbers would fall into this bracket. Lastly, we have a standard specifically designed as a tokenized security. Given the likelihood for SEC regulation of ICOs acting as unregistered securities, ERC1400 was designed by Polymath to get ahead of this curve. Unlike the other standards listed here, ERC1400 tokens can have restrictions for who they are sent to, how they are split, limits for the total amount purchased based on identity verification, and so on. This is controversial in an industry which has emerged primarily to financially empower individuals, and not implement the restrictions of traditional financial systems in blockchain form. Such a token standard may lend itself better to acceptance by regulators, but the assertion that new platforms will want to take this route voluntarily merits substantiation. Ethereum is far from the only platform upon which exciting gaming ideas are being built, or smart contracts more broadly for that matter. As the most prominent smart contract platform, however, a lot of experimentation is happening involving the different types of tokens that can be created, and the process of natural selection over time will bring the most useful to the forefront. Many other standards exist — including further variations of ERC20 like ERC621 which enables changes to token supply after deployment, and ERC827 which incorporates third-party spending. 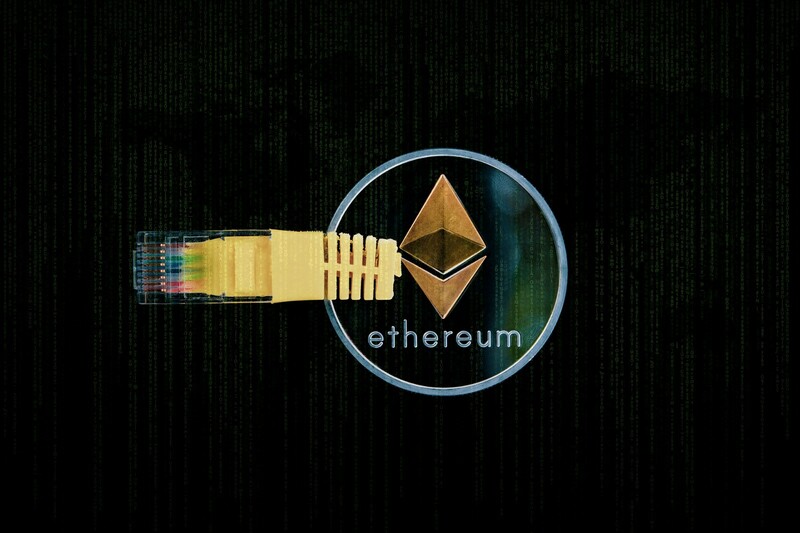 The present list serves just as a breakdown of some of the more interesting concepts which Ethereum developers have brought to fruition — while time and usage as it progresses will tell us which of these standards have value. Article by Byron Murphy, Editor at Viewnodes. All opinions are the author’s alone. For information on some of the services provided by Viewnodes, including our Tezos delegate, click here. ViewNodes focuses on passive income by deploying masternodes, staking or delegating. We also enjoy engaging in some of the larger discussions in crypto.